The Bahamas continues to attract the most American luxury travellers, according to a study released by Resonance Consultancy in collaboration with the Luxury Institute. The Bahamas welcomed approximately 5.8 million visitors in 2012, a six per cent increase over 2011 arrivals. 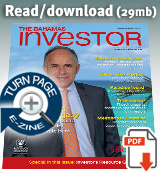 The Bahamas Investor initially reported on the survey when it was released at the beginning of March. The Bahamas continues to attract the most American luxury travelers, according to a new study released by Resonance Consultancy in collaboration with The Luxury Institute. The report also shows that the island destination more affluent Americans want to visit than any other is the Turks & Caicos. The Resonance Report on Affluent Travel and Leisure surveyed more than 1,200 affluent U.S. households with incomes of $150k+ to understand their plans for travel, recreation and the purchase of vacation homes in the next 12-24 months. To download a complete copy of the Resonance Report 2013 please visit resonancereport.com. “The Bahamas has always been associated with luxury travel, and the country resisted catering to the lower end of the market after the downturn in 2008. Many other Caribbean destinations went the other way,” says Chris Fair, president of Resonance Consultancy. The Bahamas welcomed approximately 5.8 million visitors in 2012, a 6% increase over 2011 arrivals. With a new airport and construction of the $2.6 billion Baha Mar resort in Nassau well under way, the Bahamian government is expecting to attract an additional 500,000 visitors a year after the resort opens in December 2014. Regional competition is a constant in and around the Caribbean, and today, more than a quarter of American luxury travelers surveyed cited the Turks & Caicos Islands (TCI) as the island destination they would most like to visit. Tourism to Turks & Caicos has grown by double digits in recent years, rising to more than a million visitors in 2012. Over the past five years, the TCI tourism industry has put exceptional effort into raising service standards, and numerous luxury resorts have sought to outdo one another with extravagant amenities, stunning views and personalized service. Morgans Hotel Group Co (NASDAQ: MHGC) yesterday reported financial results for the quarter ended March 31, 2013. 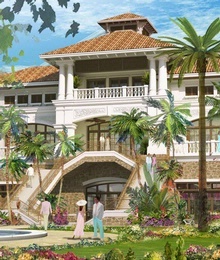 The company operates the Mondrian luxury hotel chain, which has partnered with Baha Mar in Nassau. Luxury travel and an uptick in the sales of residential units in The Bahamas top the news agenda this week.